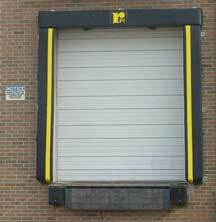 Pioneer Loading Dock Equipment manufactures and distributes a wide range of loading docks and accessory equipment. They are centrally located in Spring Hill, Tennessee, and sell through a national network of dealers. Pioneer Loading Dock Equipment has been one of the leading manufacturers of quality loading dock equipment for over twenty-five years. Pioneer products are top quality and compare favourably to all competitors. Along with a wide variety of mechanical and hydraulic Pit Levelers, Edge-of-Dock and Top-of-Dock Levelers, Pioneer also offers OSHA approved truck restraints. To learn more about Pioneer Loading Dock Equipment, please click on the link above. Pentalift provides a complete line of mechanical and hydraulic dock levelers, vehicle restraint safety systems dock seals and dock lifts. Pentalift provides a complete line of hydraulic and pneumatic lift tables, tilt tables, rotating tables and custom designed lift tables and positioning equipment to suit a wide range of applications. To learn more about Pentalift Dock Equipment, please click on the link above. Rotary Products carries a full line of loading dock and warehouse products designed for a variety of industrial and commercial applications. 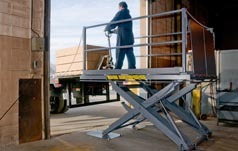 Browse Rotary Product's Industrial Loading Dock and Warehouse Products by clicking the link above. otary Products Inc. is your complete ONE STOP Loading Dock Equipment Supplier! They offer Dock Seals, Truck Shelters, Sliding Door Hardware, Pit Levelers, Edge of Dock Levelers, Dock Bumpers, Strip Doors, Custom Curtain Walls, and much more!